BORTH COASTGUARD were paged at 11am on Sunday (Nov 5) about reports of the hull of a boat washed onto the beach below Borth War Memorial. After they investigated it was found that it was a piece of hull approximately 7 feet long and 8 feet wide, containing the vessel’s steering gear, which had been washed onto the beach by the morning’s high tide. The vessel’s name ‘Inis Mór’ was visible on the section of hull. Photographs were sent to Milford Haven Coastguard Operations Centre, who confirmed that this was a piece of the Scottish–owned Ker 39 reported to have sunk in June 2017 off the coast of Wexford, whilst en route to the Irish Cruiser Racer Association (ICRA) National Championships that begin at Royal Cork Yacht Club in Cork Harbour. 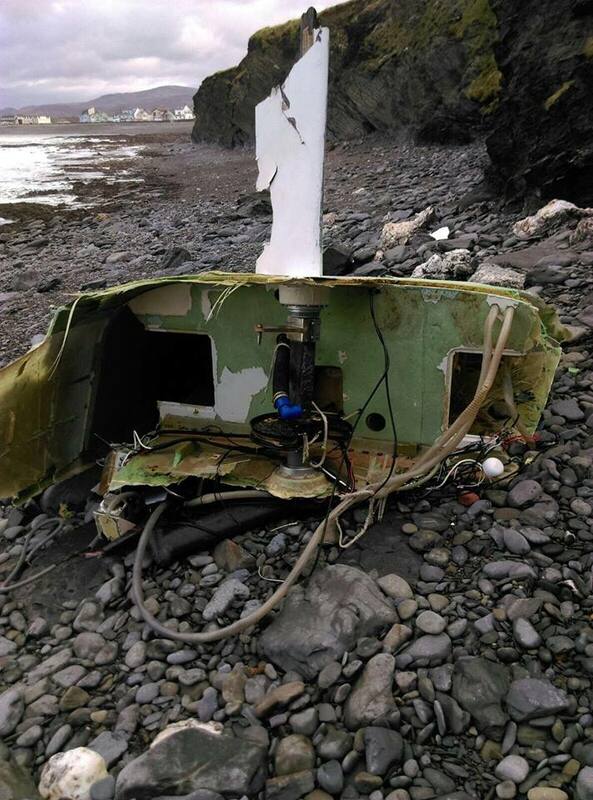 Borth Coastugard were paged again at 11:13am on Monday (Nov 6) to try and secure the stern section of ‘Inis Mór’. Five ropes were attached and secured to large rocks on the beach, whilst recovery of the vessel was organised.